Discount parking for the Metropolitan Museum of Art is available at the following Parking.com locations. Click on a parking location to print a NYC parking coupon with special discount parking rates for any 6, 12 or 24 hour period. A parking coupon is required to receive this discount Metropolitan Museum of Art parking, so be sure to bring one to the garage. 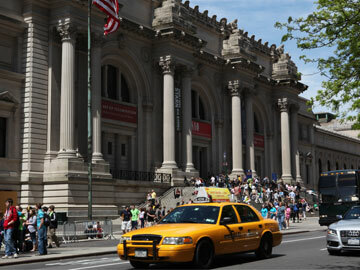 The Metropolitan Museum of Art is the largest art museum in the U.S., and one of the ten largest in the world. The Museum features more than two million works, divided among seventeen curatorial departments, including the Anna Wintour Costume Center. Nearby attractions include: New York City's famous Museum Mile and Central Park. Parking.com has convenient parking throughout the NYC metro area! Click to find more Upper East Side Parking or NYC Parking.